I’m back again with another Speedlink product review, and this time I’m checking out something from their audio collection which is the MEDUSA STREET XE Stereo Headset. It’s the first non gaming specific headset product review that I’ve done on ThisGenGaming. This headset is mostly made for use with smartphones, notebooks, laptops, etc so if you’re currently looking for a headset that is built with those kind of products in mind then you are at the right place. As always with our product reviews, I will judge and review the product based off four different categories design, sound quality, value and features. The MEDUSA STREET XE Stereo Headset is kind of basic in design, but don’t get me wrong that’s not exactly a bad thing. It doesn’t do anything wrong at all, and I have to say it is a very comfortable headset. 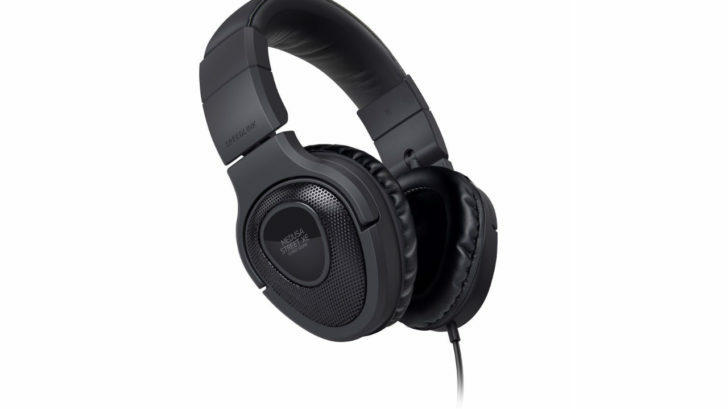 The headset is heavily padded around the ears and also padded at the top to avoid irritation and being uncomfortable. Going back to the comment “basic in design” I mean that it doesn’t have anything extravagant in design like for example some headsets I’ve reviewed have had LED illumination or other crazy designs but sometimes basic can be better especially for a headset that is mostly for smartphones. There’s also a cool feature that was extremely helpful which is being able to fold the ear parts to make the headset much more compact, and easy to take them when you’re on the go. As someone who has to move around, and need a headset that is compact, this is a major plus as a design feature. The sound quality is not perfect, but I had to factor in that this headset is not a premium based headset, and is closer to a budget headset compared to those in the premium category. 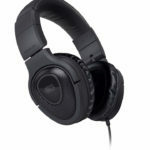 Music and audio when testing the headset was crisp and clear, but at times when using them on a laptop there seemed to be not as good, and the audio didn’t seem to be as clear and good as it was when using it on a phone. The headset costs only £30 which is a very affordable price for a headset like this, the design quality is very high and the sound quality is passable enough for the price. If you are looking for an affordable headset as you’re on a budget then this is going to be the perfect headset to buy. Here’s a quick look at the vast amount of features that the MEDUSA STREET XE Stereo Headset offers. Overall the MEDUSA STREET XE Stereo Headset is a good headset, I was very impressed with the design, and I didn’t mind the overall basic design for the headset. Features such as being able to fold the headset will come in handy for anyone who purchases it and travels a lot. The sound quality isn’t excellent but still good for the price tag. If you’re looking for a headset for your phone that is also affordable then this might be the best choice!